Good morning, Senator Steans, Representative Davis and esteemed members of the General Assembly. My name is Leslie Mendoza Temple. 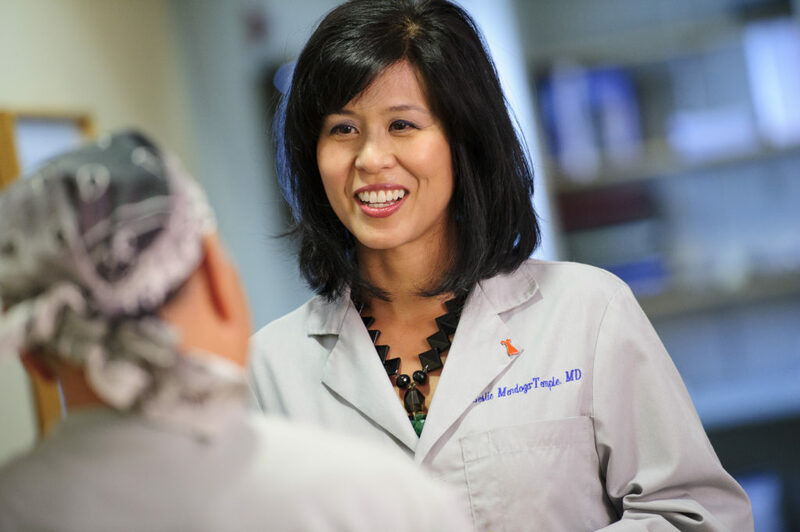 I am a board-certified Family and Integrative Medicine physician in Glenview, Illinois. 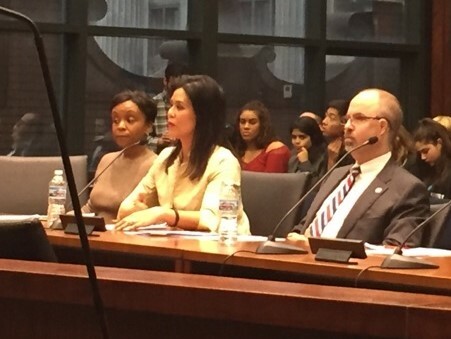 I also served as the former Chair of the Medical Cannabis Advisory Board for the Illinois Department of Public Health. It is important to note for the record that I am not speaking on behalf of any institution or my employer. I am speaking from my personal viewpoints and experience as a clinician….and as the proud mother of 3 sons, ages 7, 9 and 11 years old. I have no financial or other beneficial relationship with the medical cannabis industry. My Integrative Medicine practice attracts patients with complex medical conditions- primarily cancer, chronic pain, neurologic, psychiatric, and digestive conditions. Many of my patients seek my care as the last-ditch effort, referred by their physicians, they prefer to treat their conditions as naturally as possible and find their way to me. I have written certifications for over 400 patients, with over 200 patients returning so far for their follow up appointments, providing me feedback on their medical cannabis experience. I have studied this feedback. Considering the opioid and heroin epidemic, medical cannabis is a crucial part of the solution to this crisis and needs more eligible conditions to be added to the program. Anytime opioids have been prescribed for chronic pain from all sources, patients should have the option to use medical cannabis instead. Medical cannabis is not a perfect drug however, with 29% of my patients experiencing confusion about what to take, how to take it, and varying strain availability from the cultivators and dispensaries. Despite these challenges, medical cannabis is without a doubt, one of the most important tools I have discovered in my practice, alongside good nutrition, exercise, sleep regulation, acupuncture, meditation, medications, and stress reduction strategies. As I gain more experience with patients using cannabis in a medical, therapeutic way, I have learned more about this substance, far beyond what I was ever taught during medical school or residency training. I have struggled with how to approach the question about legalizing it for adult use. After speaking with folks on both sides of the issue, both with passionate belief and strong conviction in their viewpoints, and without investment in the industry, and with the mother’s lens. I have come to the following conclusions which I hope are helpful to this panel and the audience. I am in favor of regulating cannabis for adult use, over age 21. I am against its prohibition given that our current system of prohibition has failed on many levels. Regulating cannabis production and sale may help increase safety of untainted supply by going through vetted cultivators; taxation can create funding to improve drug addiction and education services; legalizing it has implications that can divert funding away from the criminal system and towards education and rehabilitation. Regarding the commercialization of legal recreational cannabis, I would say there is already a very large scale, for-profit industry surrounding current usage. It is an illegal black market industry run by addiction profiteers who manage (with crime and violence) the supply and sale of billions of dollars annually to people of all ages. They are the gateway drug towards harder substances like heroin, crack, cocaine, and LSD. We are well aware of the public health costs of that “industry’s” 80+ yrs control of the market – and none of them are funneling money into drug education. I’d like to try a different approach now, please. My editorial: I do not condone its use, personally, for getting high – whether one is an adult or a child. I don’t condone alcohol or cigarettes either – for anyone. But, it is not my place to govern this aspect of life for others but rather, to guide my patients towards making healthy choices. If funds towards drug education and increased resources towards drug rehabilitation are NOT included in the legislation, then I will not support this bill. If marketing is not controlled with strict limits on advertising targeted at youth, then I will oppose the bill. On another note, I don’t want to see a cannabis leaf emblem marketed on every billboard going down the 294, nor do I want to see a cannabis dispensary on every street corner. In a free market economy, I am not sure how this will all shake out if this passes. So, that’s what the hearing process is all about. It’s a chance for our voices to be heard about how this legislation should go, if legalized adult cannabis is going to be a reality. Cannabis should be kept out of the hands of children (and their pregnant mothers) whose brains are at risk for cognitive harm. I believe that strong education can help youth make better decisions about the true potential risks of underage cannabis use, which is loss of one’s highest intellectual potential while the brain is still forming, among other risks. There’s a recent publication on the Monitoring the Future study, a survey of 1.1 million 8th-12th graders. In the journal, Addiction, researchers made an interesting observation. The perception of cannabis’ harmfulness increased in 8th graders in medical cannabis states while their use of cannabis decreased by 33%. I see a huge opportunity here. Education is an area I believe where we physicians, policymakers, schools, and the addiction healthcare community can shine in Illinois. If we take a stronger role in educating youth about the hazard of cannabis use at an early age on the brain, we could protect more kids from the potential damage they can sustain from early cannabis use. Let’s learn from the mistakes and missed opportunities seen in early adopter recreational states – if Illinois is to legalize cannabis for adult use. Keyes KM, et al. How does state marijuana policy affect US youth? Medical marijuana laws, marijuana use and perceived harmfulness: 1991-2014. Addiction . 2016 Dec;111(12):2187-2195.